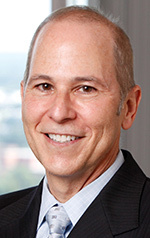 Robert J. Gordon, a partner at Jaffe Raitt Heuer & Weiss PC, has been appointed as co-chair to the Jewish Education and Identity Division of the Jewish Federation of Metro Detroit. In addition, he has been appointed a member of the Jewish Education/Engagement Steering Committee of the Jewish Federations of North America. Gordon will be responsible for engaging more Jewish children, teens, and adults of all ages in Jewish experiences that enhance connections to Judaism and the Jewish community. As a member of the Jewish Education/Engagement Steering Committee of JFNA, Mr. Gordon is responsible for shaping strategies to enhance the cohesiveness of the Jewish community across North America and ensure all JFNA initiatives are driven by the needs of local federations. Gordon, of Birmingham, serves in Jaffe’s corporate practice group, where he specializes in business law and transactions, including mergers and acquisitions, formation, governance and operations, general contract, and succession planning. He earned his bachelor’s degree from the University of Michigan and is a graduate of the Boston University School of Law.